If you want to hear a soothing, bubbling brook sound when you’re relaxin on your patio then you need a fountain there. If your patio is already finished then this fountain should be relatively small and movable. If you can find such fountain in stores then you can make one. 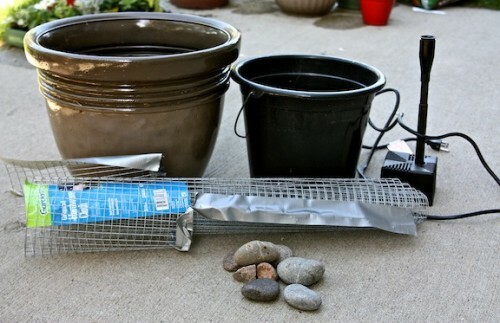 Here’s what you need: a large pot, a bucket, a fountain kit, hardware cloth and river rocks. To make a fountain drill holes in the bottom of the pot. Next, place the bucket inside of the pot, cut a square piece of hardware cloth to fit on top of the pot and bend it to fit properly. 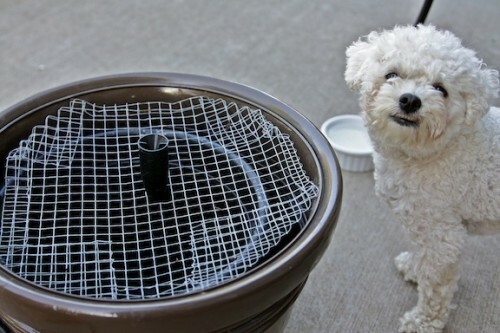 Cut a square opening in the middle of the wire mesh for the fountain head and place it into the bucket. Fill the bucket with water and place mesh on top. 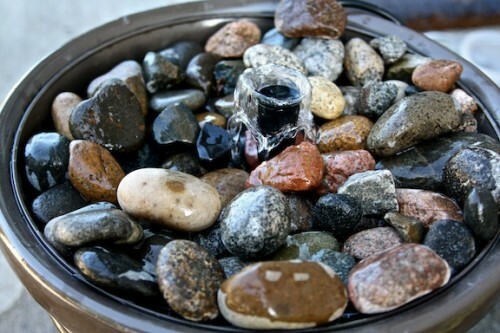 Wash the rocks off and place them on top of the wire mesh. Plug in your fountain and enjoy!